This month’s Genre has been chosen by Ryan of Ten Stars or Less. We will be reviewing our favorite Boston Film(s). Brief Synopsis – A low level gangster trying to avoid prison time, tries to find ways to continue to survive as he feels life closing in on him. My Take on it – This is a film that I’ve been interested in seeing for quite some time and was glad that this month’s GG choice by Ryan actually go to to finally see what it was all about. The problem here is that the story itself feels extremely rushed and incomplete. I liked the way that they try to show us how low level gangsters try to make things work on a smaller scale as the world begins to change around them at a faster pace than they can handle. The cats led by Robert Mitchum, Richard Jordan and Peter Boyle are all quite good here, but they can’t help the fact that the way the story is told is done in quite a baffling way that it’s so much harder to enjoy what is going on. They try too hard to get so much done in such a short running time, that obviously it feels as if things that need to be explained to us are just skipped over which is quite a shame. Bottom Line – Gritty look at low level gangsters and how they try to survive in the ever changing world. Nice cast helps this a bit, but the storyline is just too baffling to actually enjoy. They try to get too much accomplished in such a short running time that things feel too rushed and incomplete. Genre Grandeur Worthy? – Not at all. Too baffling and doesn’t connect all the dots by the end like a good film should. I have to disagree with you on this one. I think you undersell just how good a movie this is. Granted, it’s not on the epic level of The Godfather by any stretch, but it inhabits the seedy lowlife world of its soldiers in the field gangsters and captures the Boston essence really well. 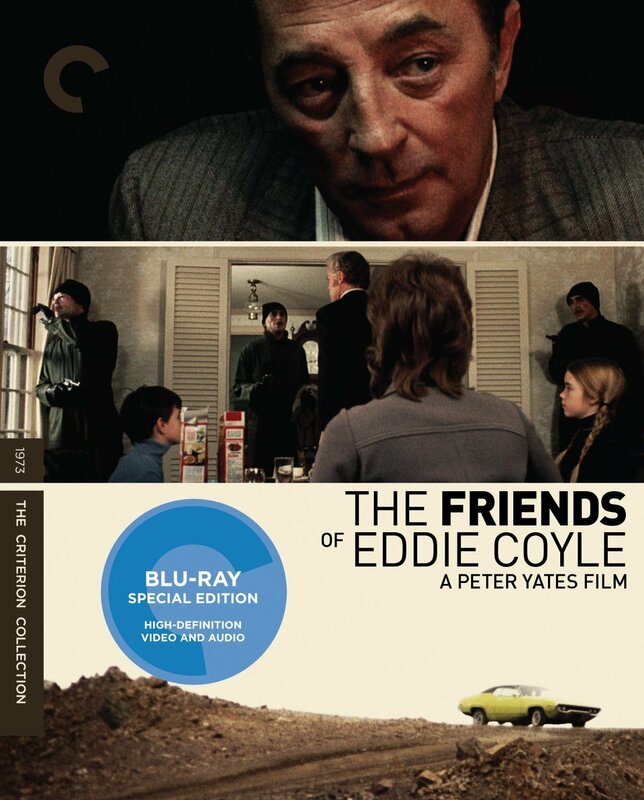 It is one of Robert Mitchum’s best performances (and that’s saying something) – supported by an array of terrific character actors (most of who you mentioned in your review). I’ve seen it a number of times – and not to clear up any confusion – because the first time I watched I was riveted and devastated by the ending. So I’m not sure what elements got by you or seemed confusing. There are a lot of moving parts here – and things to keep track of – and even then – the reveal at the end of who the real rat is (and I will not lend any spoilers here) and how that plays out is a gut punch. For me, Mitchum was an animal caught in a trap and forced to gnaw off his own leg. Knowing that any way he played this – as an informant for the Feds or a rat to his “friends” – this was not going to have a happy ending. He reminded me of Victor McLaglen in “The Informer”. Boston accents are not easy – ask any Boston born actor who does it right and who screws it up – and Mitchum nailed it. I know you have a laundry list of movies yet to see – but when you have a lull in the action – go back and watch this again. The second time might be the charm. I respect and appreciate your thoughts Michael and my laundry list has gotten much longer actually also tanks to ur suggestions for my TTT lists from the 60’s. You keep forgetting that these lists are all just my opinion of the films Ive seen and liked or disliked and I rank them according to my enjoyment levels. One of the reasons I love movie reviewing is that each of us gets to watch the same films and see different things in it. If we all loved the same movies life would be boring. Im always willing to watch anything to see what I think abt them. Thanks for continuing to take ur precious time to comment on these lists. i really do appreciate it and value your opinion. As uve pointed out numerous times, I sill have a lot more films from the 60’s to check out and look forward to doing so. I will also try and find some time to rewatch this film in the coming months thanks to this comment, maybe I did miss something on the first viewing!